Design Tips for Decorating on the Cheap | Valet. No matter how much money you currently have in your checking account, you can have a handsome home that reflects your personal style. The key is being smart about where you put your money. And the good news is that there's plenty you can do that won't cost you much at all. The first thing you should do? Clean your place. It doesn't take long and it drastically improves the look and feel of your home. After that, utilize some of these expert tips to take your place to the next level without completely emptying your wallet. You know what's often cheaper than design accessories? House plants. 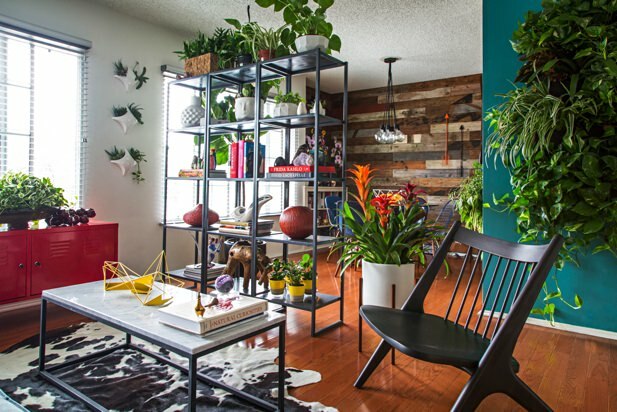 Even if you subscribe to the most spartan sense of a living space, a few well-placed touches of green will brighten up a room, fill in dead space and add some organic architecture into your surroundings. A large piece of art will not only add color and dimension to your home, but it instantly makes a room look more grown-up and stylish. A real painting will, of course, set you back some serious cash but if you're not shopping for art as an investment, make if yourself. Look through design magazines or other sources for inspiration, embrace the imperfect nature of abstract paintings and give it a go. A 36-inch by 48-inch stretched canvas can be purchased online for less than $50. Then all you need is a brush and a few tubes of acrylic paint. When it comes to decorating your place, it's a lot more challenging and expensive to go for sleek and modern when you're on a shoestring budget. But if you opt for a more organic and eclectic aesthetic, you're able to mix without worrying about matching. You build up a collection of uniquely individual pieces—industrial items, next to midcentury furniture topped with a collection of secondhand treasures or trip souvenirs. 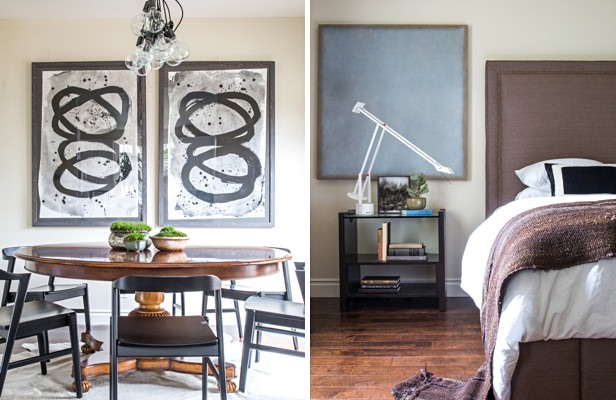 The end result is a room that looks like it belongs to a interesting, well-traveled gentleman. As you likely already know, Craigslist is a great way to score some furniture on the cheap or for free. Oftentimes, sellers don't know the value and are eager to get rid of the stuff. But finding the diamonds in all those rough listings can be difficult. Your best bet? Subscribe to your Craigslist search terms. Looking for an midcentury Eames-style lounge chair? Search in Craigslist as you normally would. Once you get the results, scroll to the bottom of the page and click on the RSS button in the right corner. You'll get a URL that you can add to your RSS reader so you're updated anytime a new item fitting that description is listed.